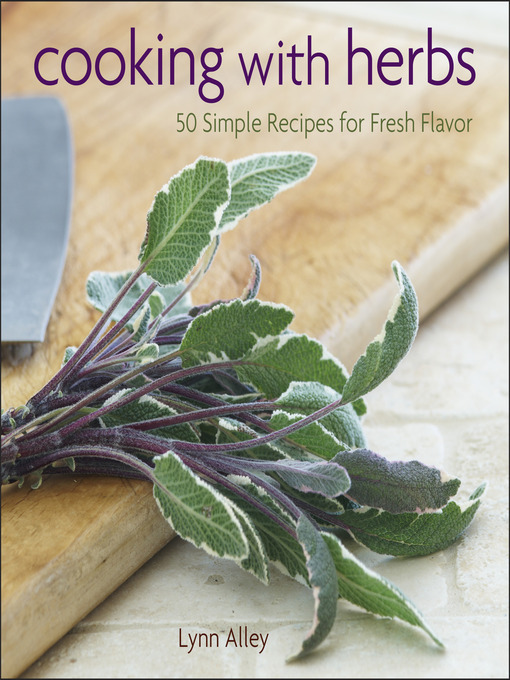 In the fresh, vibrant pages of Cooking with Herbs, cooking teacher and best-selling cookbook author Lynn Alley offers fifty delicious recipes for cooking with ten of the most popular culinary herbs, as well as tips for growing your own fresh herbs at home. In profiles on mint, dill, rosemary, thyme, parsley, tarragon, and sage, as well as basil, cilantro, and oregano, seasoned chef Lynn Alley proves that cooking with fresh herbs is an easy way to add flavor without a lot of fuss—or a lot of fat—and that it's so easy anyone can do it. Best of all, you don't need a plot of land to grow your own flavorful herbs. A simple container garden will do the trick, and you'll learn how to get the most out of it. The key to cooking with fresh herbs is to keep things simple and let the flavor of the herbs shine, so the recipes are made with only a few readily available ingredients that showcase the vibrancy of each herb in all its taste-bud-awakening goodness. With mouthwatering recipes for sensational seasonings, spreads, and dressings, as well as dishes such as Apple, Sage, and Hazelnut Rounds; Cheddar, Mustard, Garlic, and Chive Mac 'n' Cheese; Mexican-Style Pizza with Green Chile Sauce, Coriander, Cumin, Cilantro, and Oregano; Polenta with Two Cheeses, Basil, and Oregano; Potatoes Rosti with Indian Flavors; Sunday Scones with Currants, Dried Strawberries, Candied Lemon, and Rosemary; Savory Tomato Sorbet with Tarragon, Chervil, and Parsley; and Deep Chocolate and Peppermint Cheesecakes, this beautiful collection of herb essentials is great for cooks and would-be gardeners alike. So get your herb on, and grow your culinary repertoire in Cooking with Herbs.